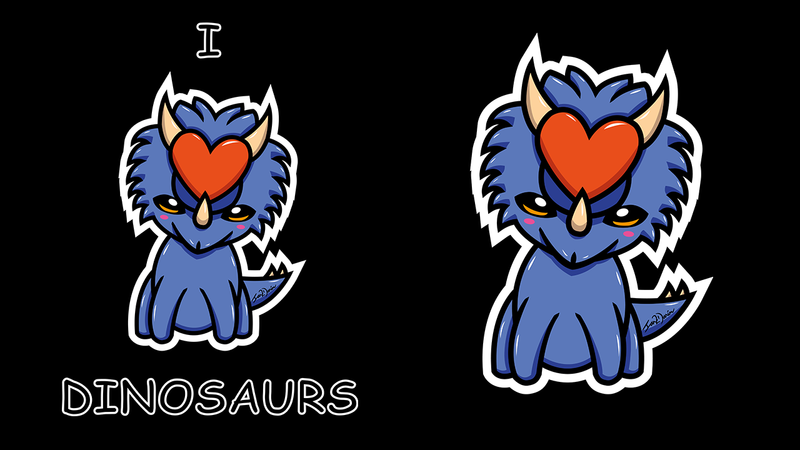 The first set of three different designs of chibi dinosaurs which include a Tyrannosaurus, Brontosaurus and Triceratops. Each one includes two variations, one with text and one without. The caption is self-explanatory “I LOVE DINOSAURS” and are of course aimed at individuals who loves dinosaurs. 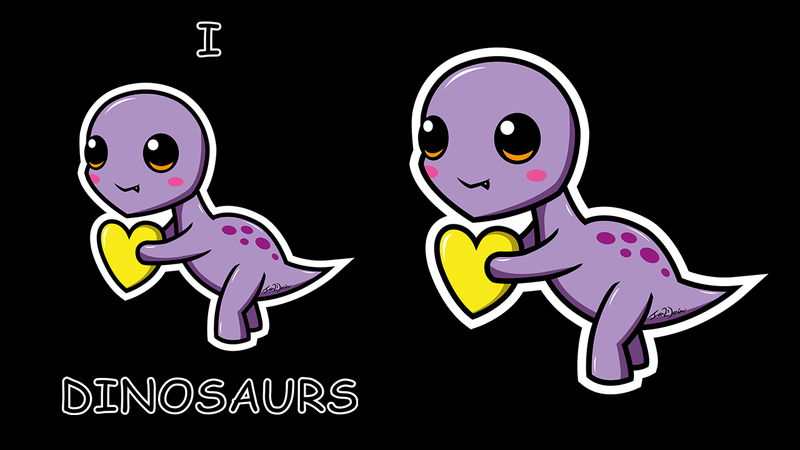 The word love is swapped out with a dinosaur holding a heart instead. 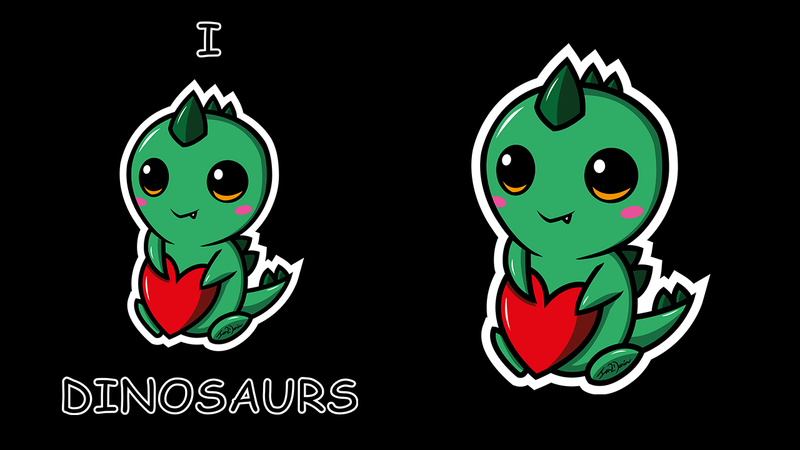 As the title mentions this is the first set because I am thinking of making more chibi dinosaurs designs in this style in the future.